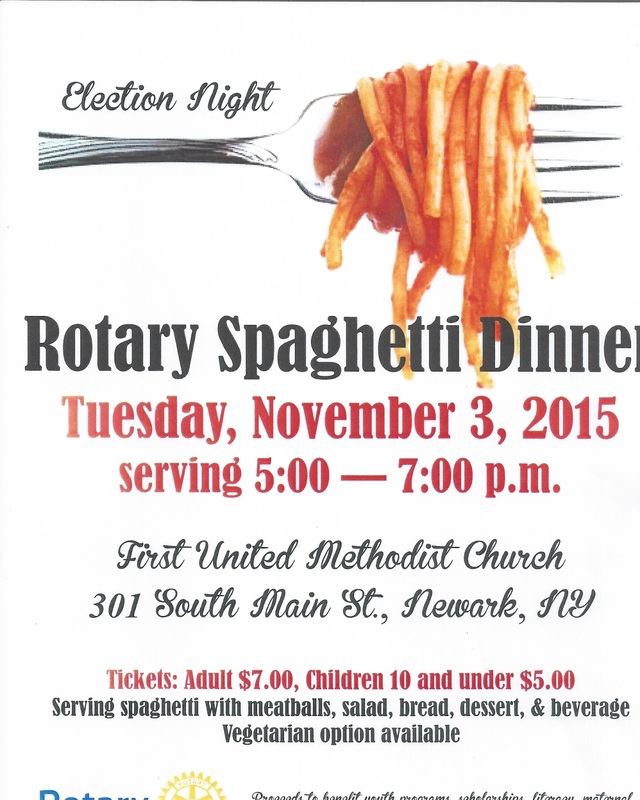 Last year's Rotary Spaghetti dinner was a huge success and we ran out of food. This year's dinner is set for today, November 3, and we have ordered enough meatballs, spaghetti, salad, bread, and dessert for all. Our meatballs are being custom made by Chef Mitch Ruffalo from an old family recipe and you won't be disappointed. and enjoy good food and fellowship. 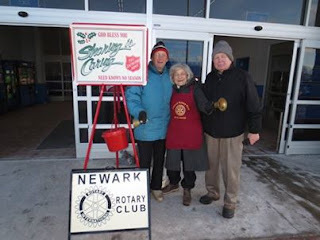 All this benefits Newark Rotary's support of youth programs, scholarships, literacy, maternal and child health, as well as international service. The cost is only $7.00 for adults and $5.00 for children 10 and under. 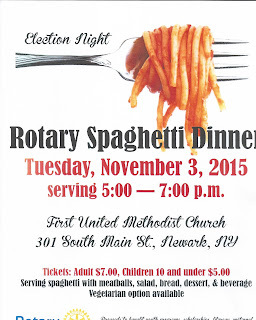 0 Comments to "Rotary Spaghetti Dinner"